After the success of nine editions over 18 years, Camps Australia Wide has produced the tenth edition, bigger and better than ever. 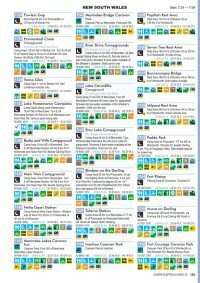 With 1000+ more sites, new informative symbols and better maps. 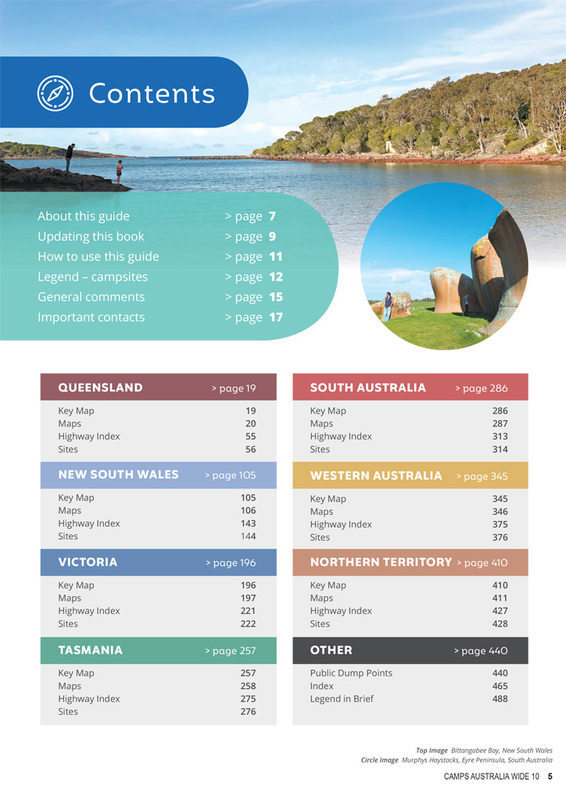 This edition is A4 size with 488 pages, 5,000+ listings, 180 maps and travelling information. 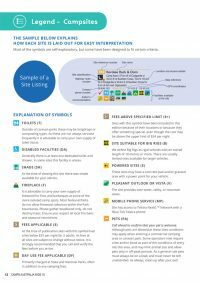 It has been designed to provide information that is comprehensive in a user-friendly format. The guide lists rest areas, campgrounds, low-cost caravan parks, station stays, National Parks and State Forests. Camps Australia Wide 10th Edition includes the newest 12th edition Hema Maps. 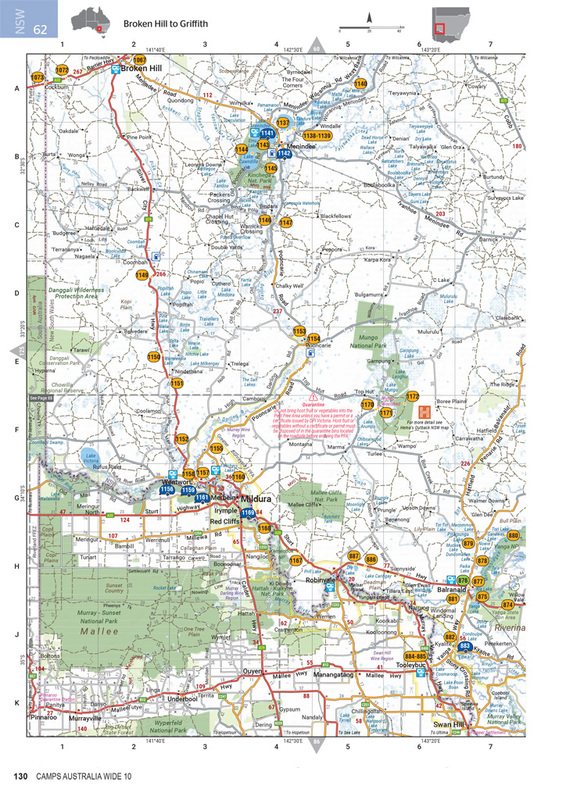 The campsites positioned in their exact locations on the maps. 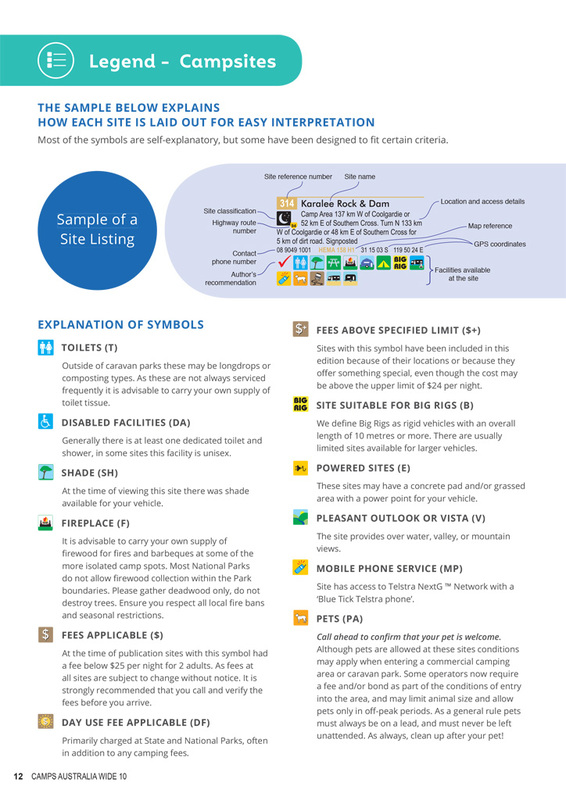 Facilities at each site are depicted by symbols. 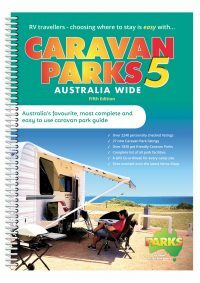 Caravans, motorhomes & camper trailers, such as big rigs, maximum stay allowed, dump points, pets allowed, fees applicable etc. 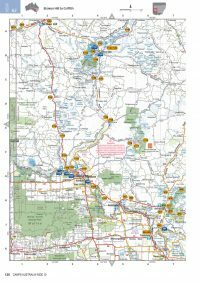 There is an alphabetical index of all site names and an index of all highway routes in each State or Territory. 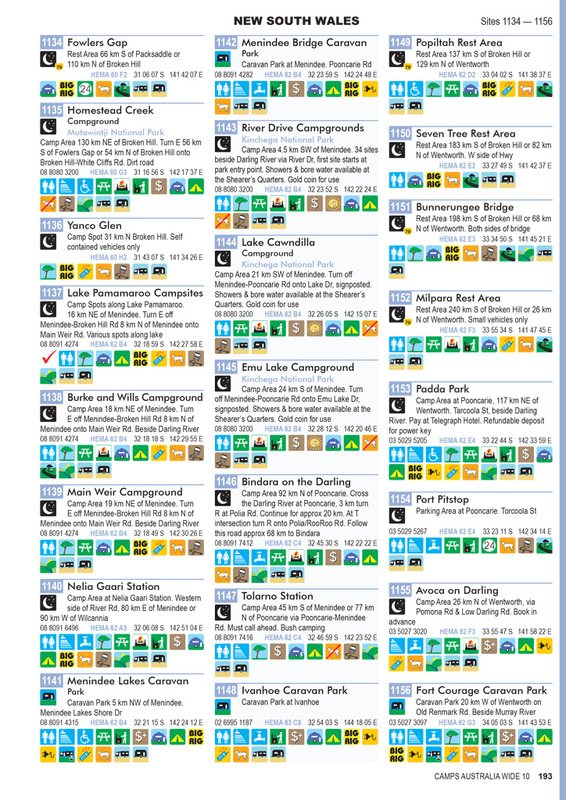 The book is broken up into States or Territories, each colour-coded for easy navigation. 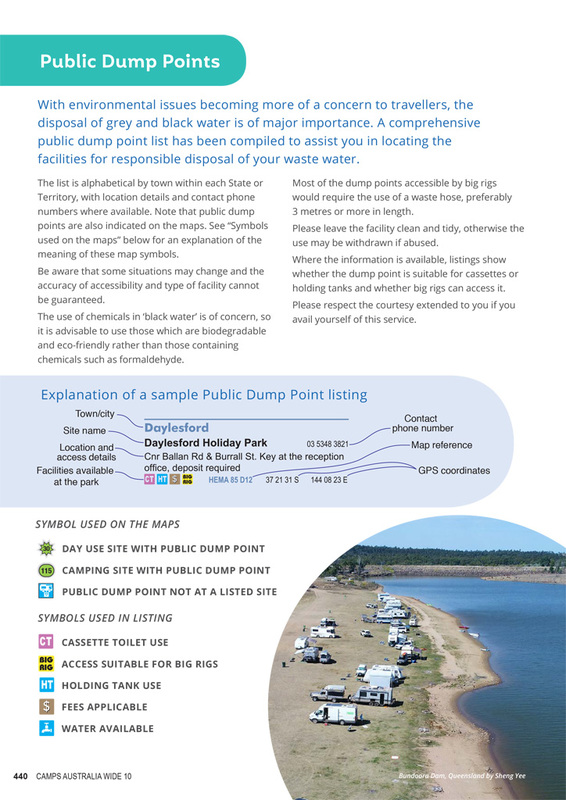 Maintaining the user-friendly format, Camps has more descriptive icons such as: close to road; pleasant outlook or vista; mobile phone coverage; dry weather access and author recommended sites. All site now have GPS co-ordinates, and site access details have been expanded. 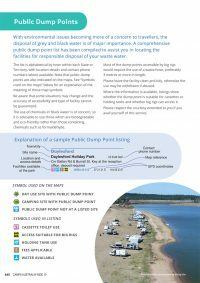 Included in this edition is a list of over 850 public dump point locations to encourage environmental disposal of waste water. It includes addresses and contact phone numbers, as well as symbols to show suitability for cassettes, holding tanks, (and whether a fee is applicable), together with access suitability for big rigs. 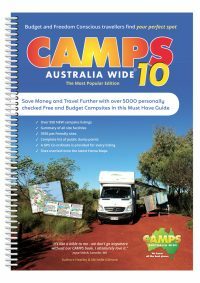 One aspect that has proved popular and beneficial is the ability to update the book by accessing the web site and this free service will continue with Camps 10. 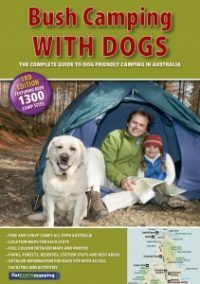 Being able to plan a trip with stopovers that are free or low cost, knowing if a pet is welcome and seeing at a glance what facilities are available, has proven to be and continues to be a hit with travellers across Australia.